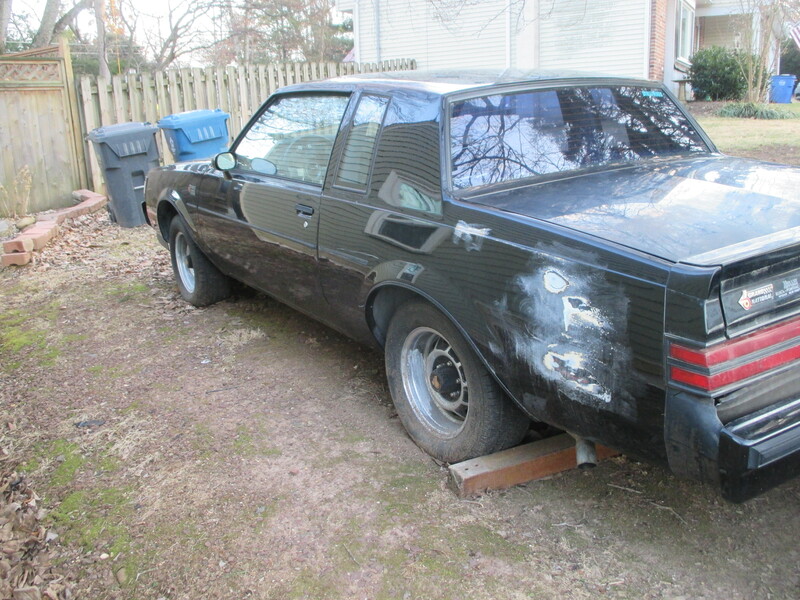 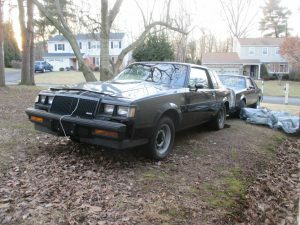 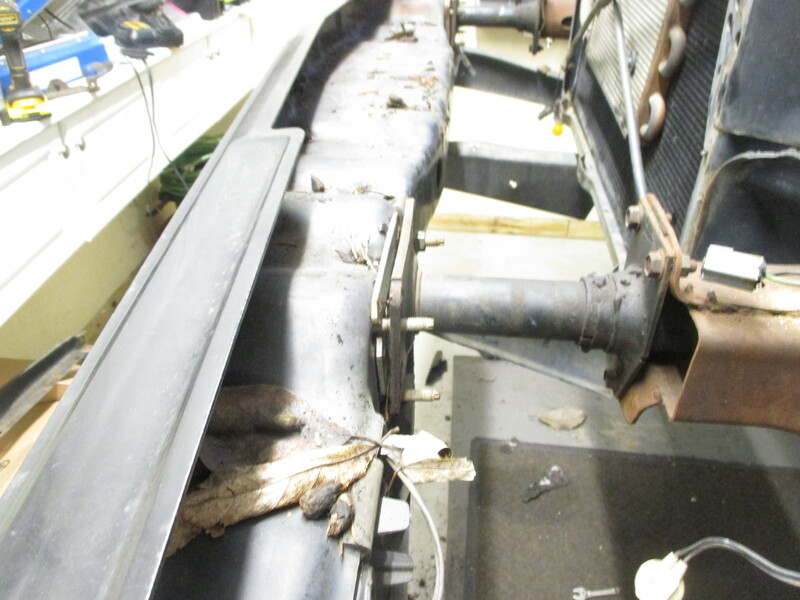 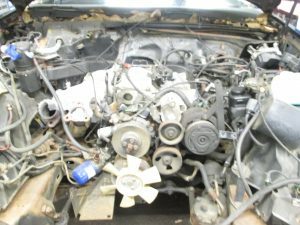 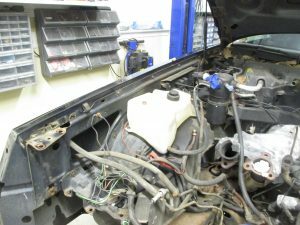 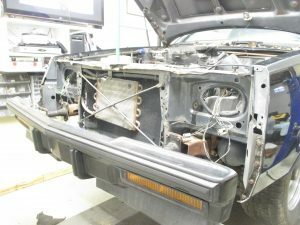 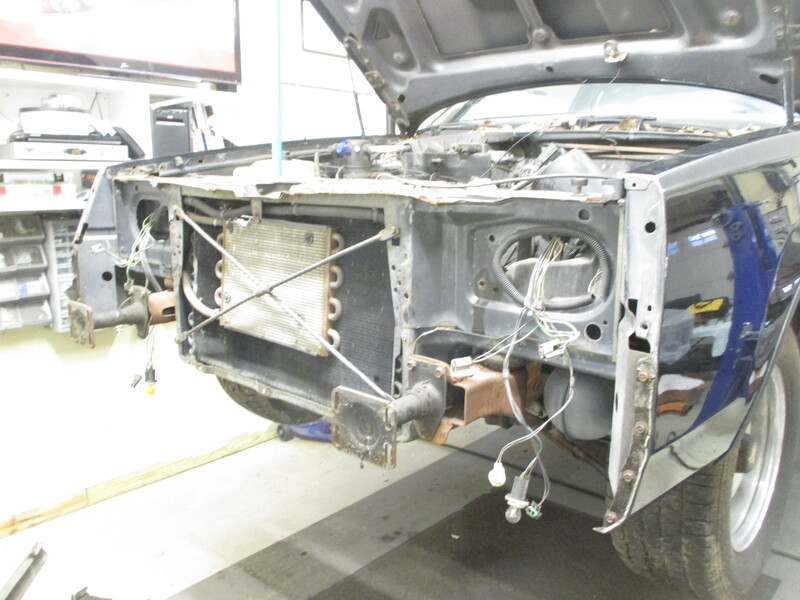 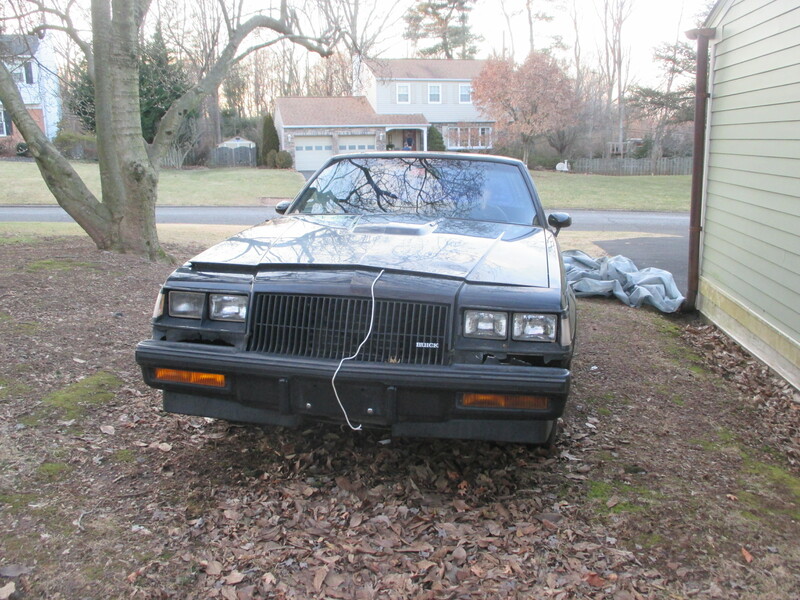 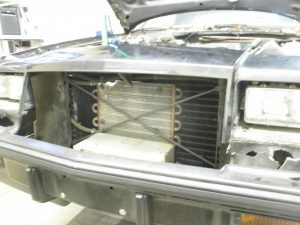 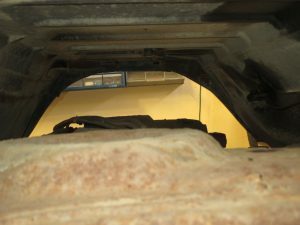 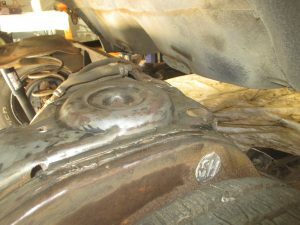 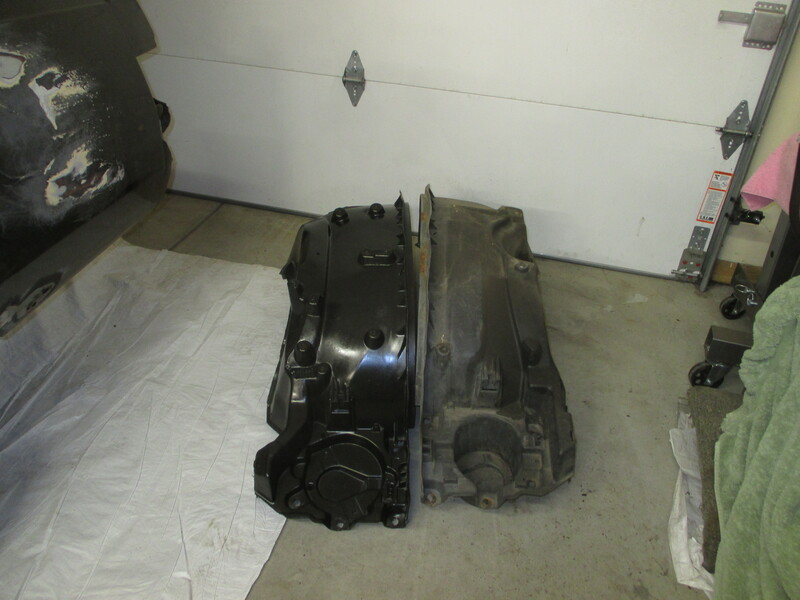 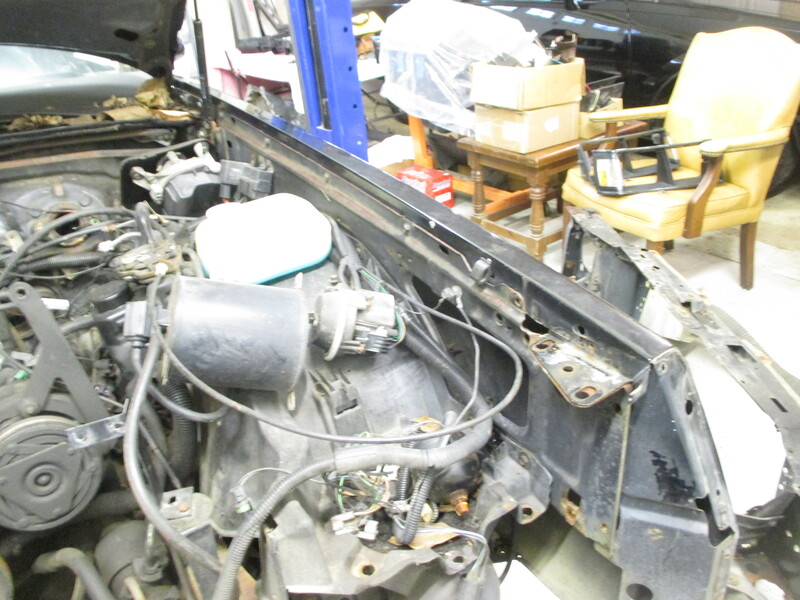 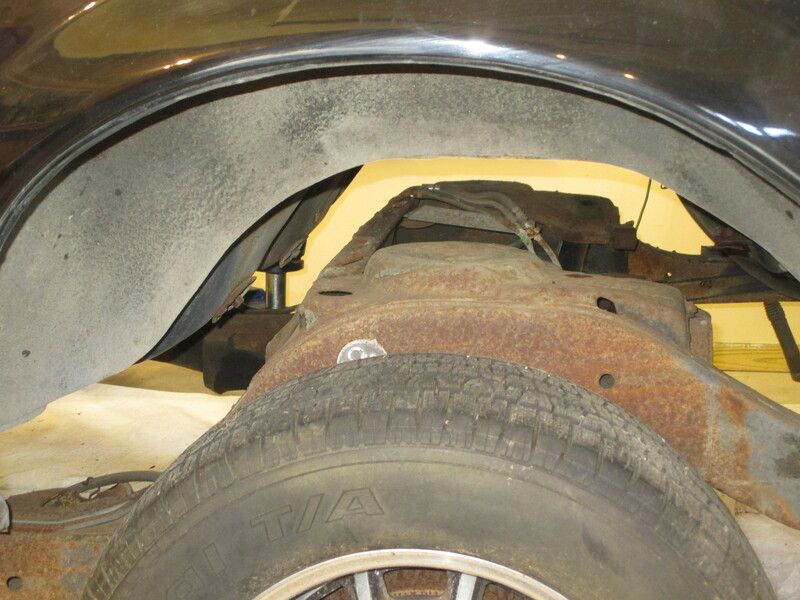 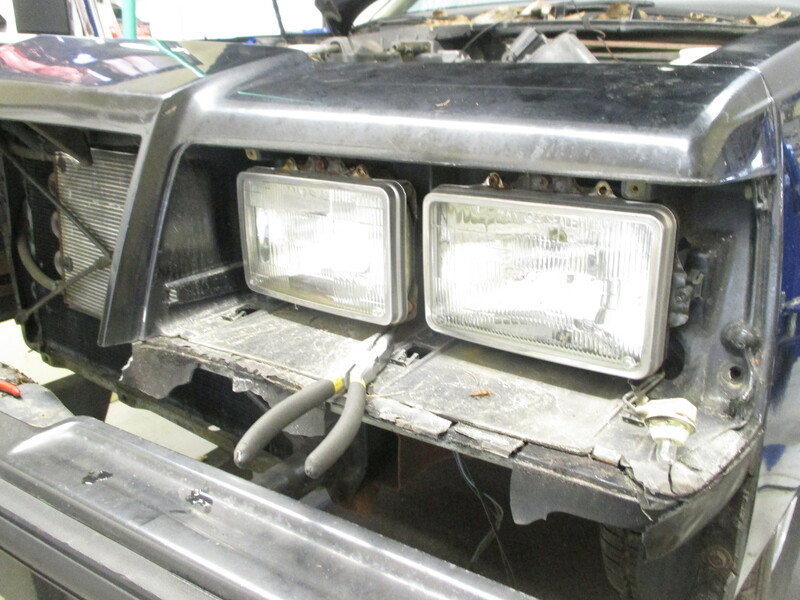 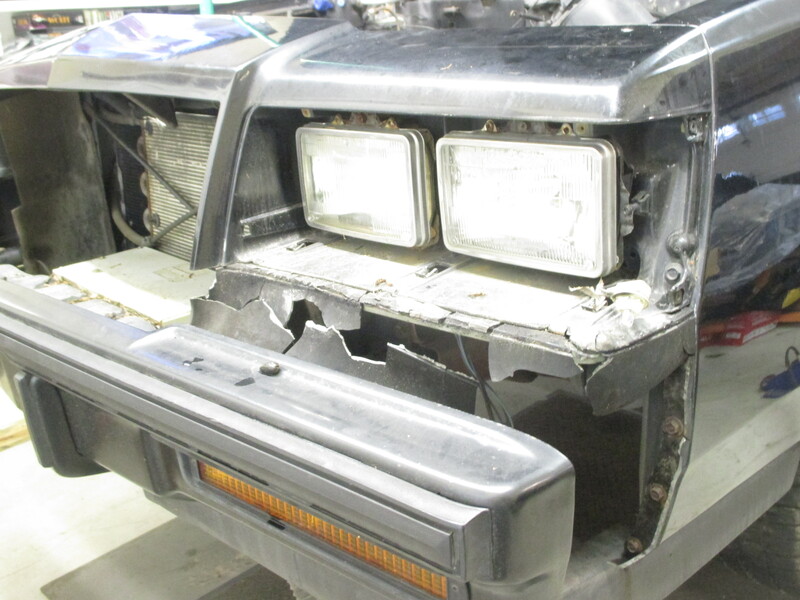 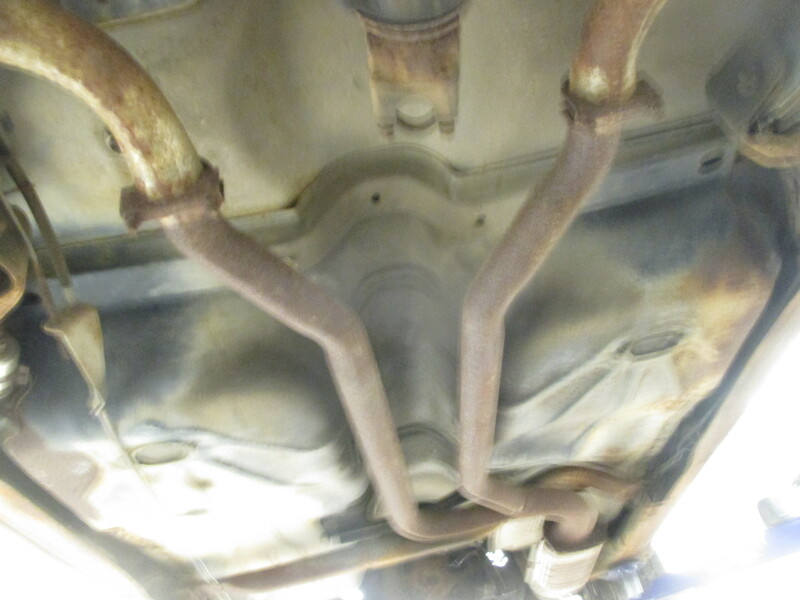 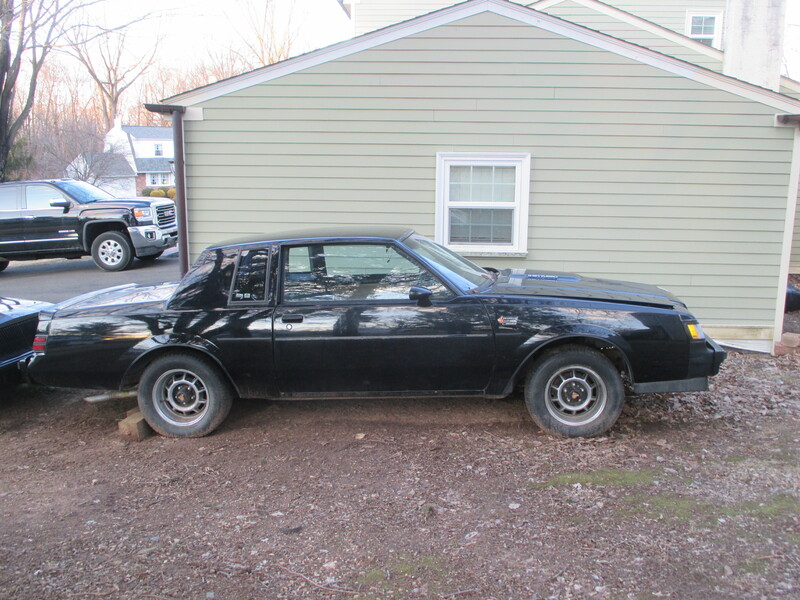 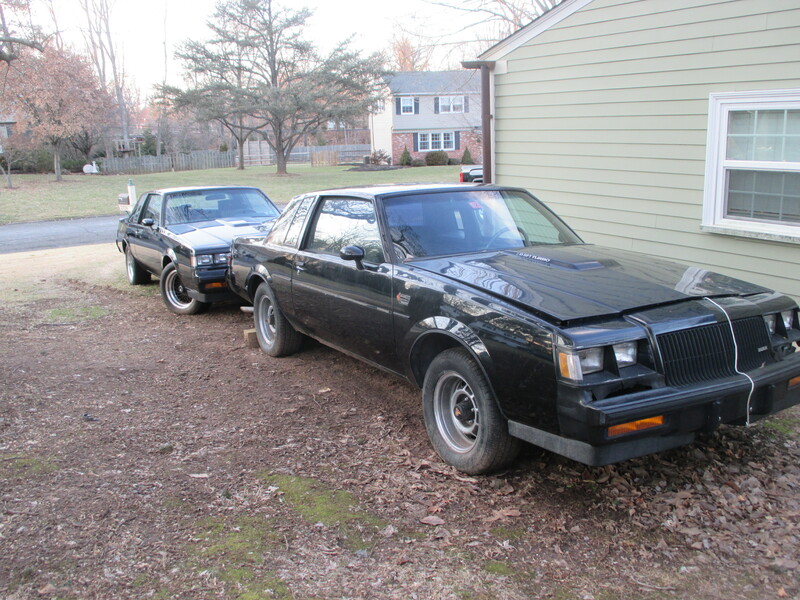 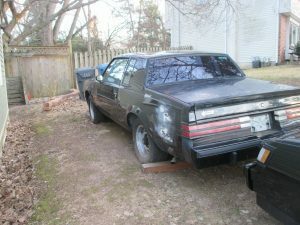 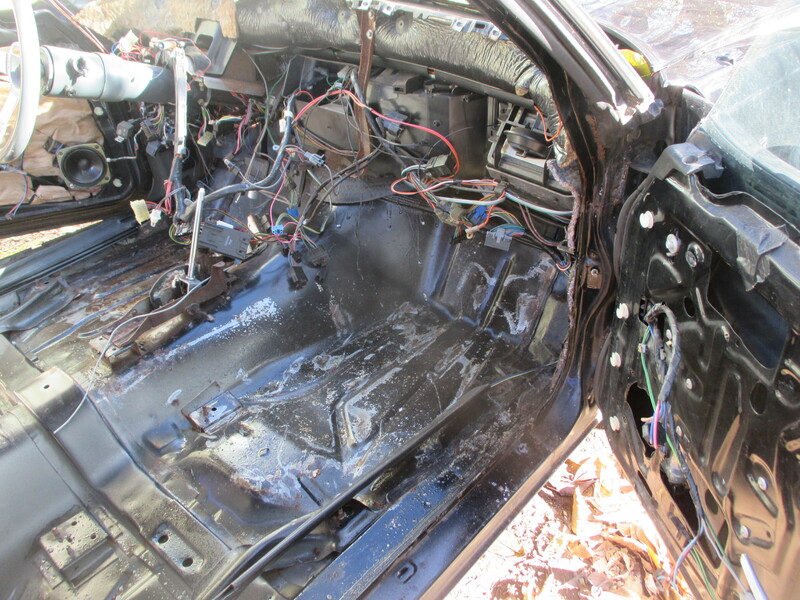 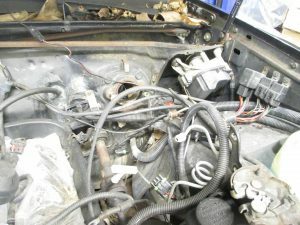 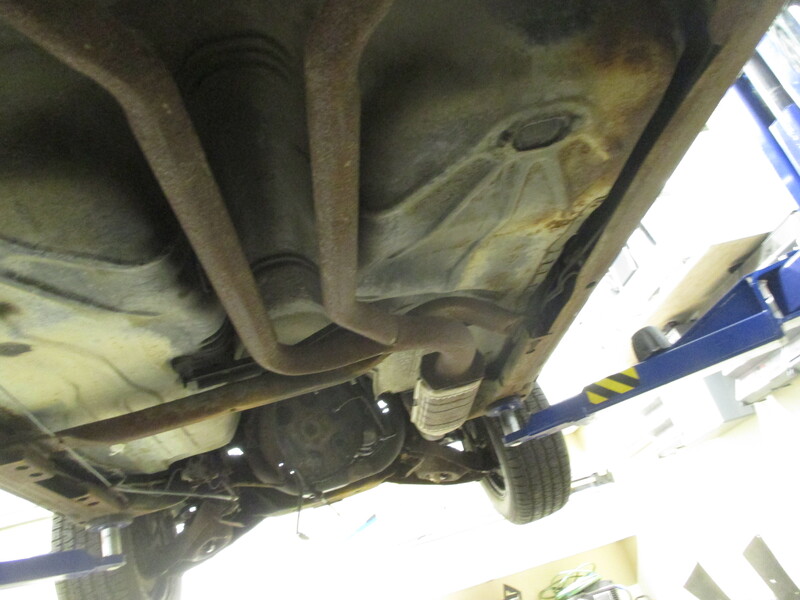 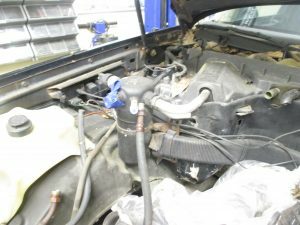 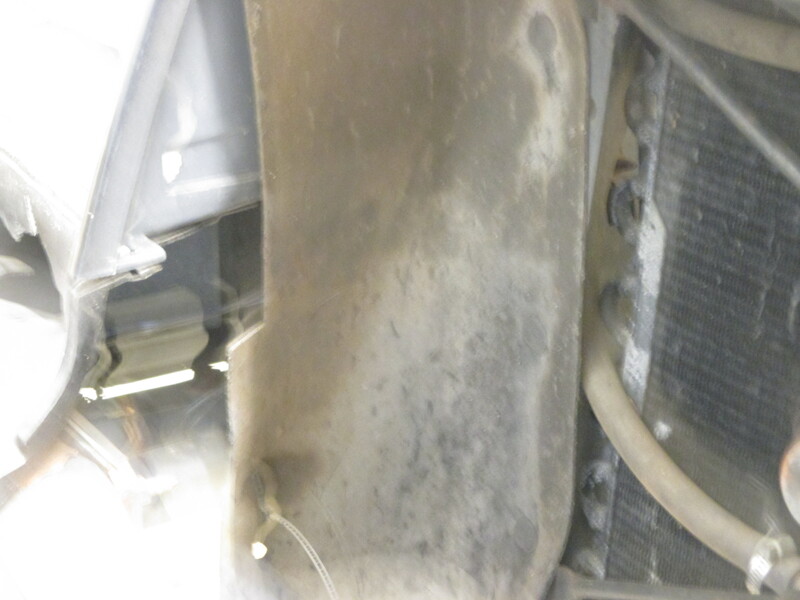 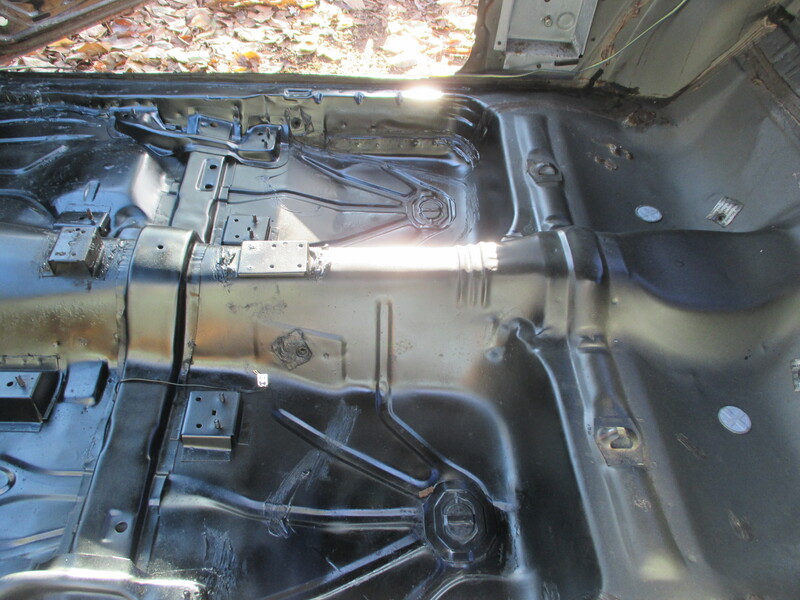 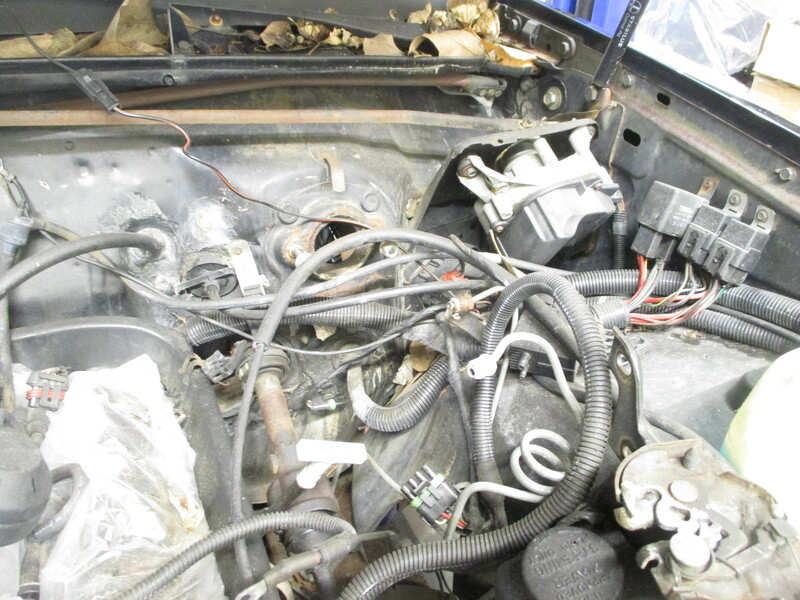 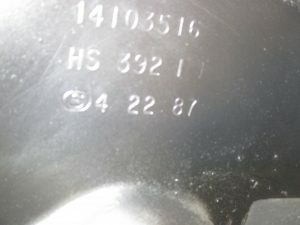 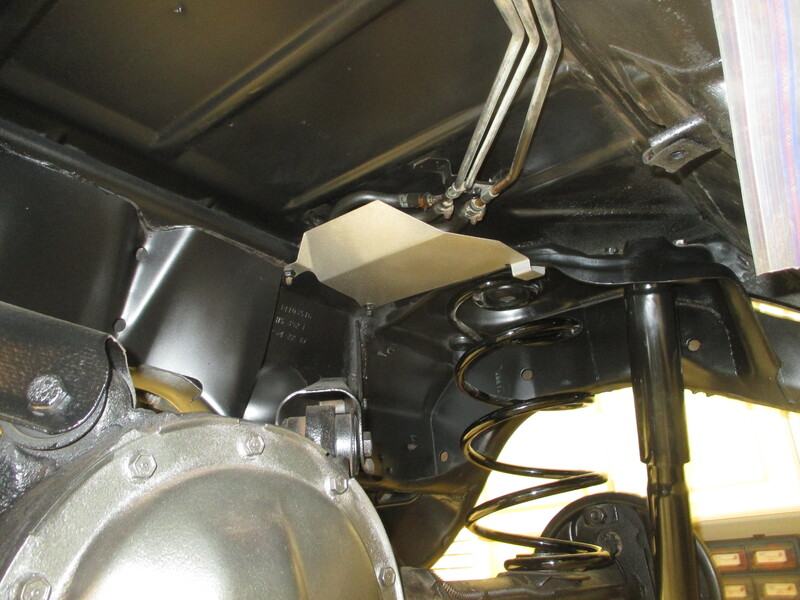 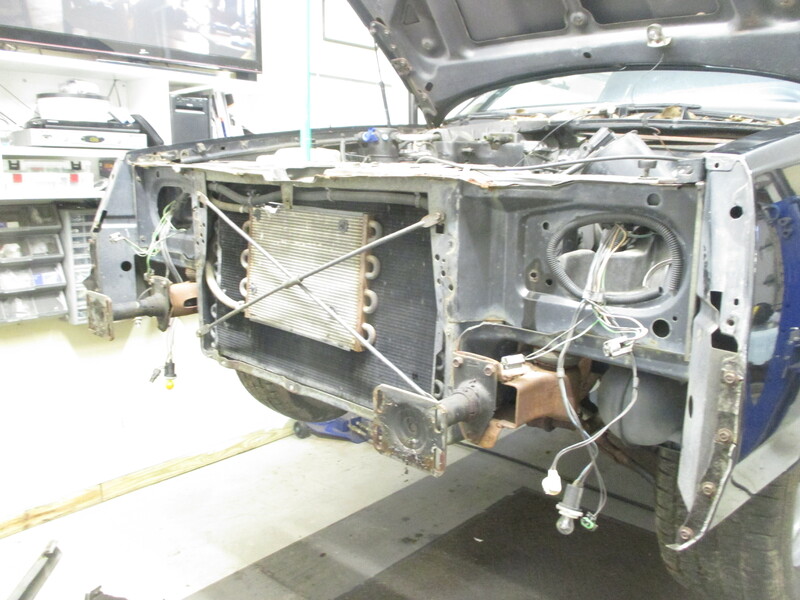 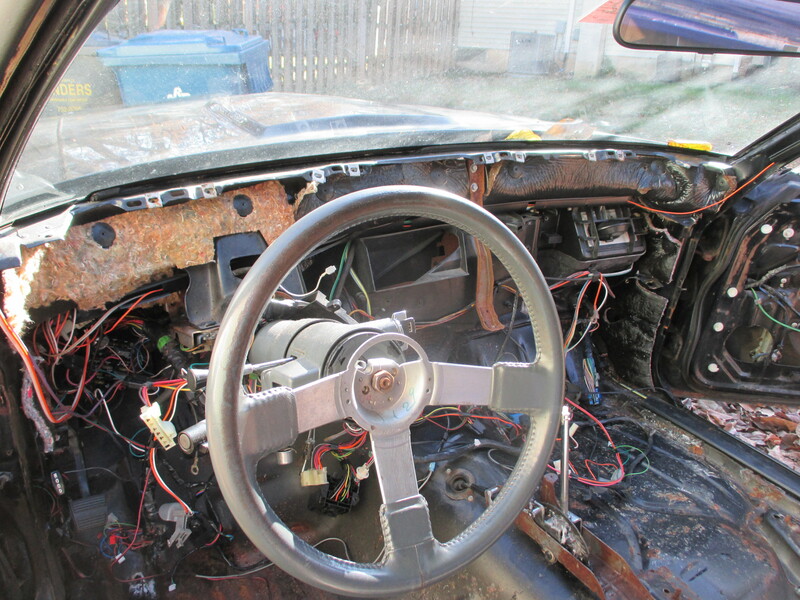 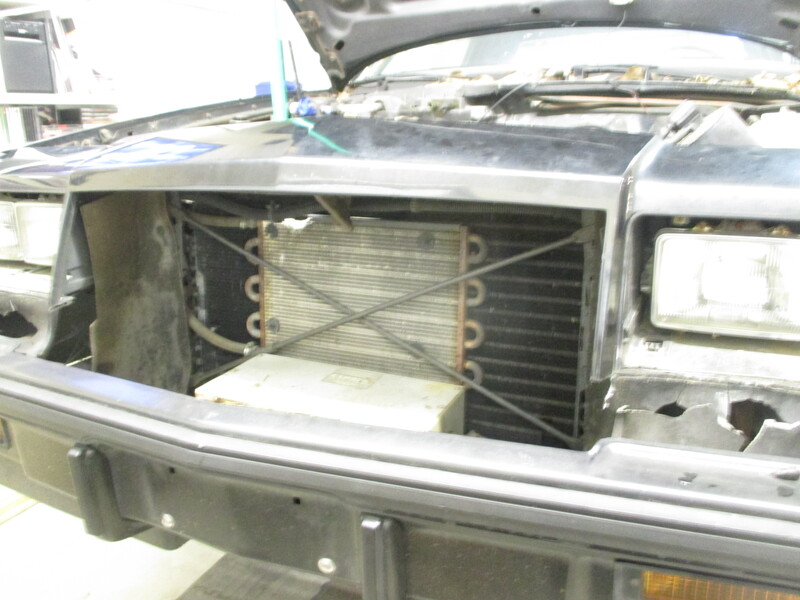 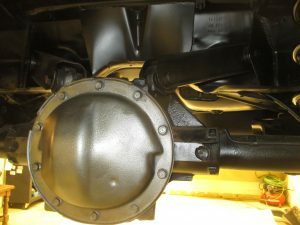 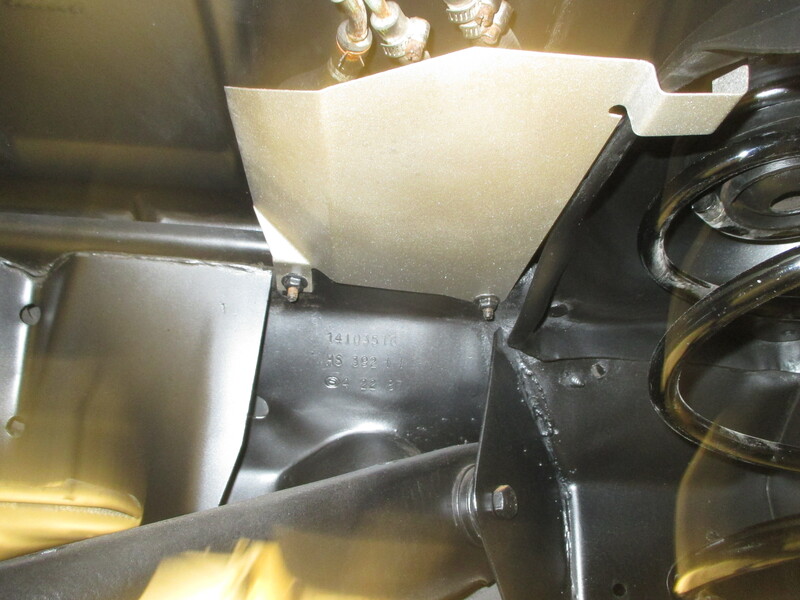 This 1987 Buick Grand National hardtop was dead and buried.This 59,000 original mile car has been picked clean by the vultures but still has its original numbers matching heart (engine). 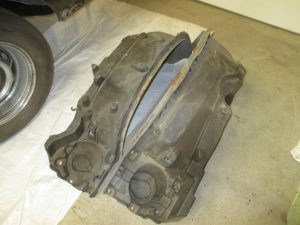 It is out of its grave and coming back. There is just enough left to bring it back to life. 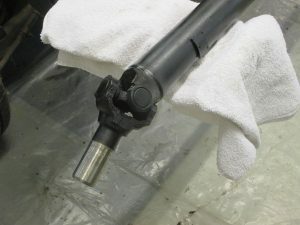 The number 5 or GNX bushing will be added. 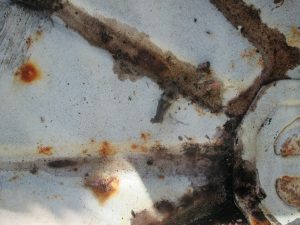 Body cancer. 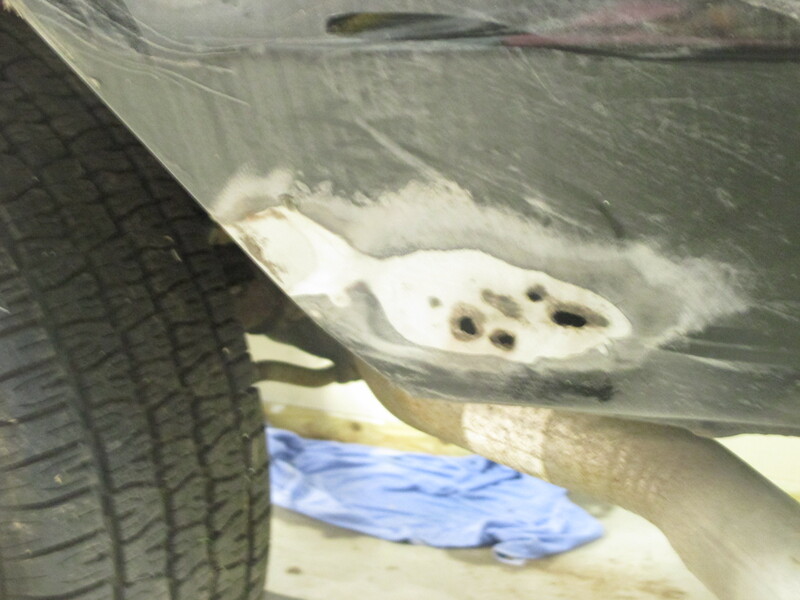 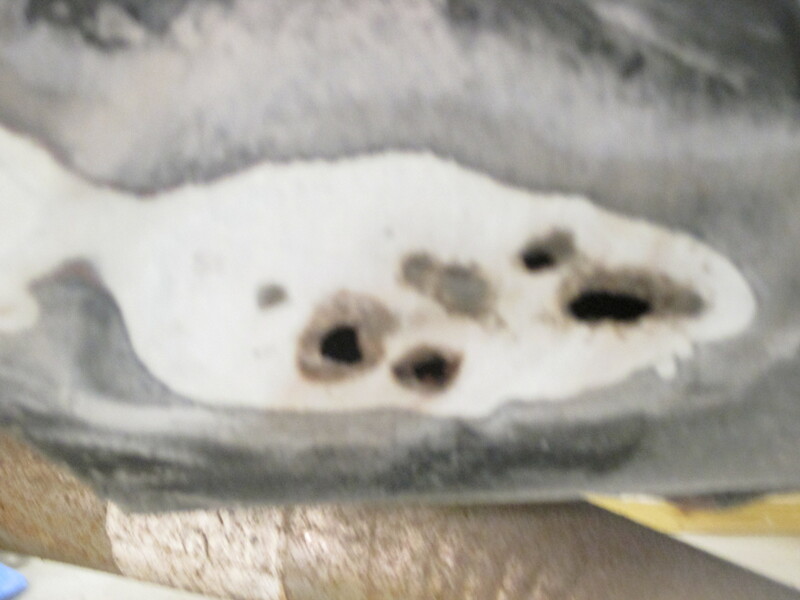 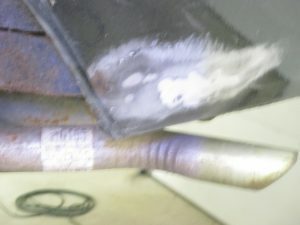 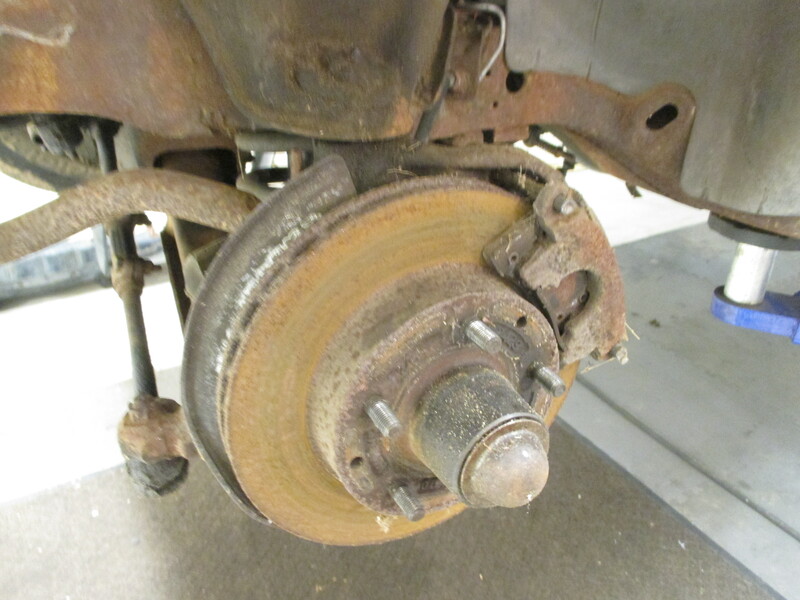 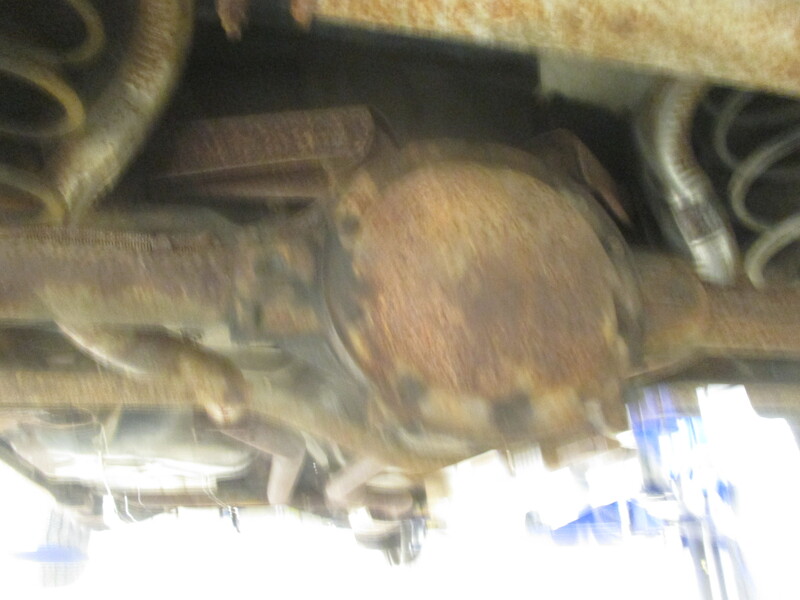 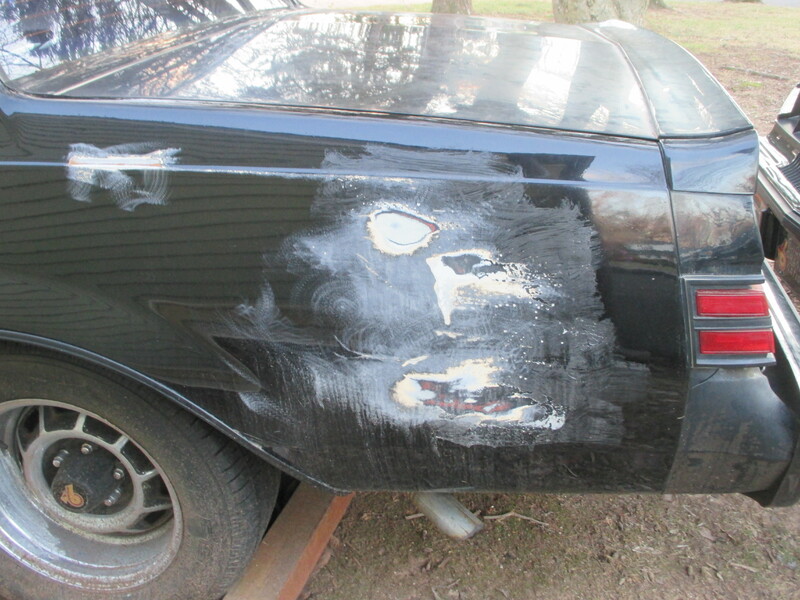 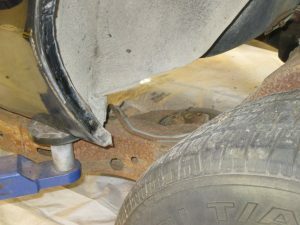 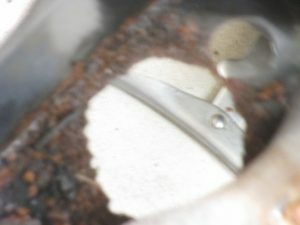 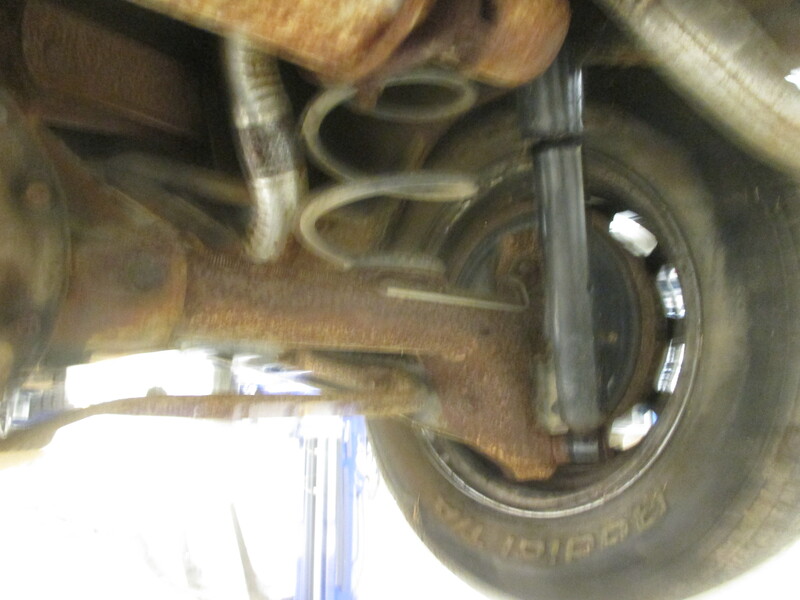 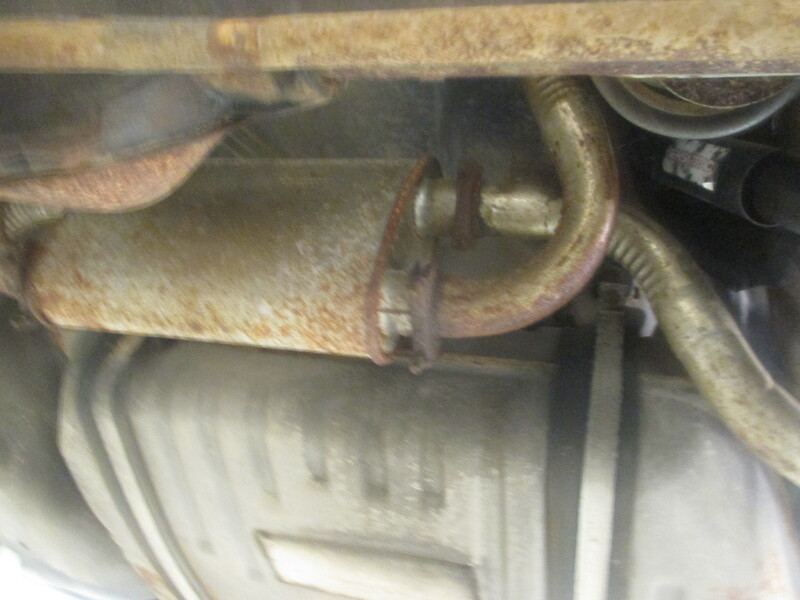 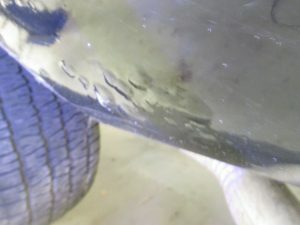 Back in the day someone filled some rust holes with bondo and now we need new metal. 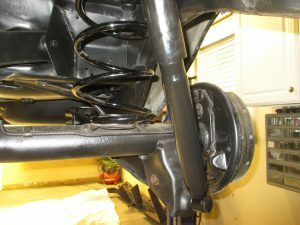 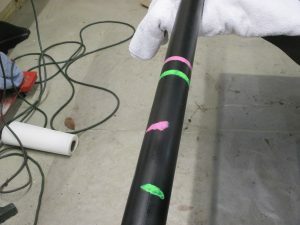 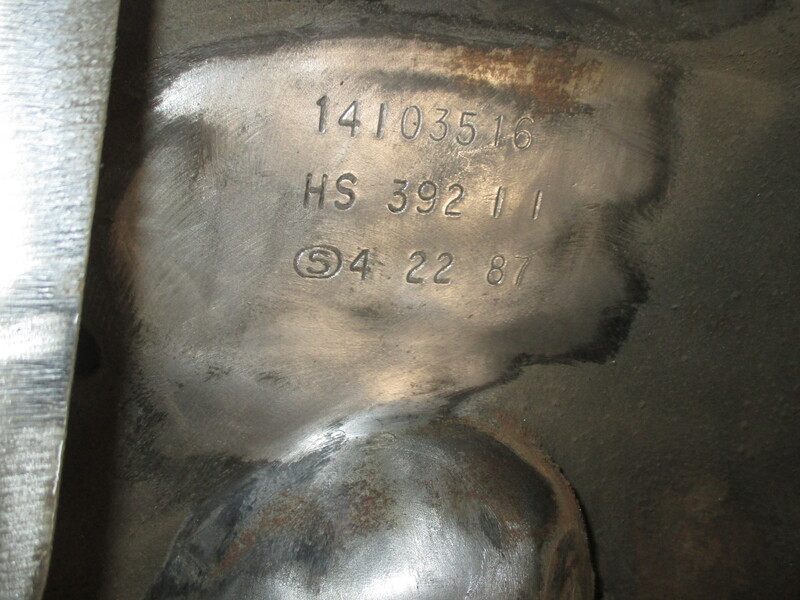 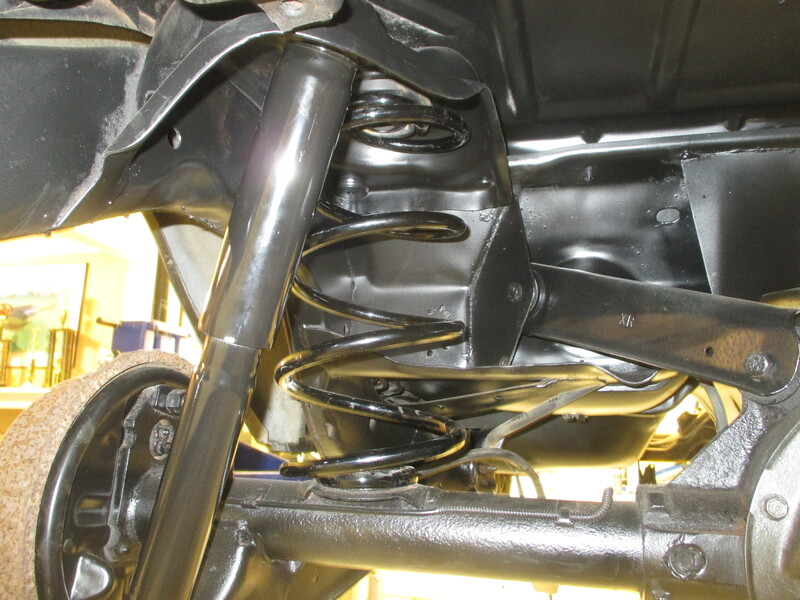 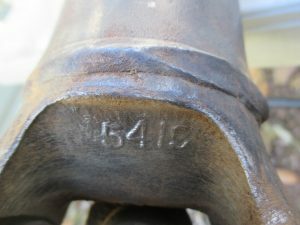 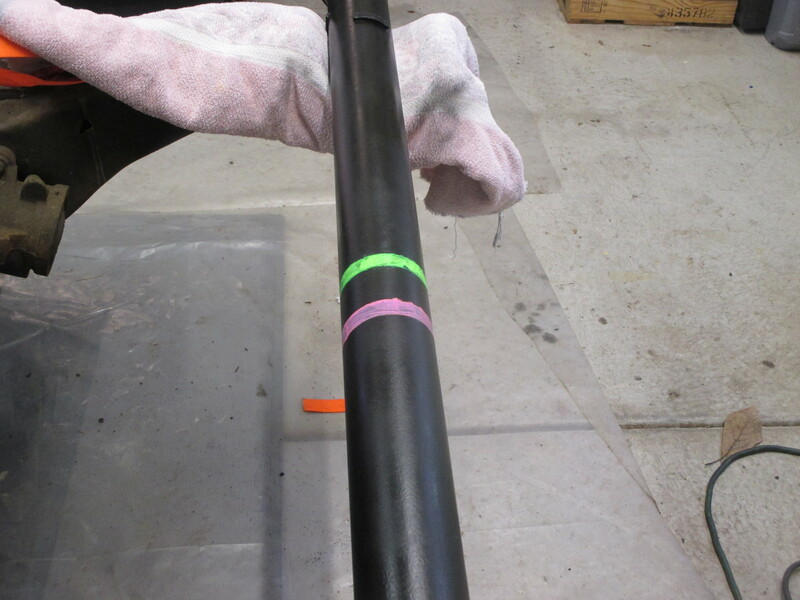 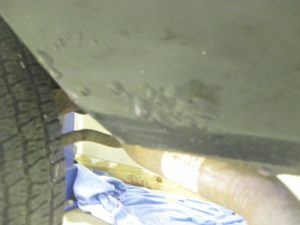 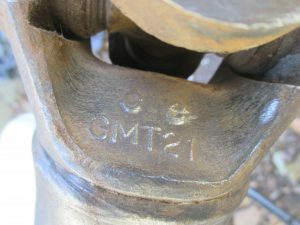 Driveshaft restored, balanced checked and all original factory markings replaced. 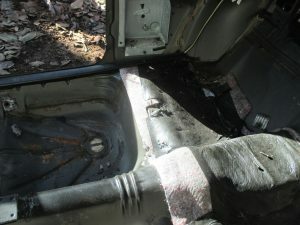 After removing the carpet and the many dead rodents we only needed to get past the horrible stench of the dead. 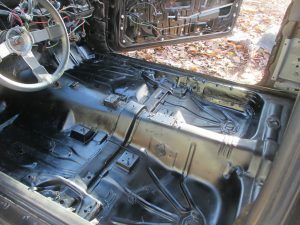 The floor was soaked in bleach. 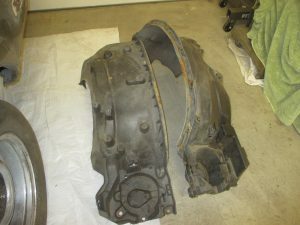 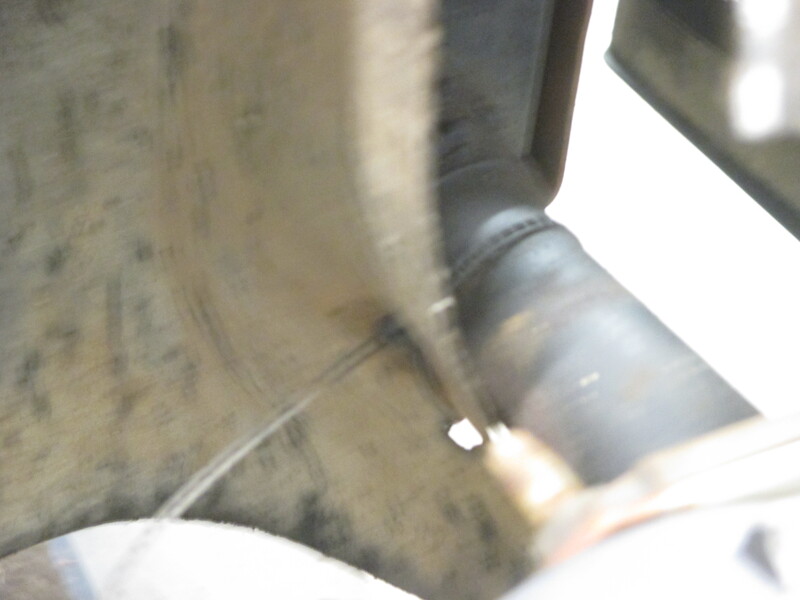 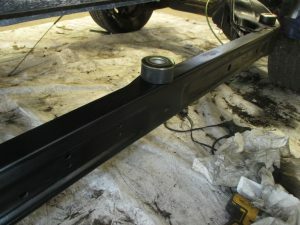 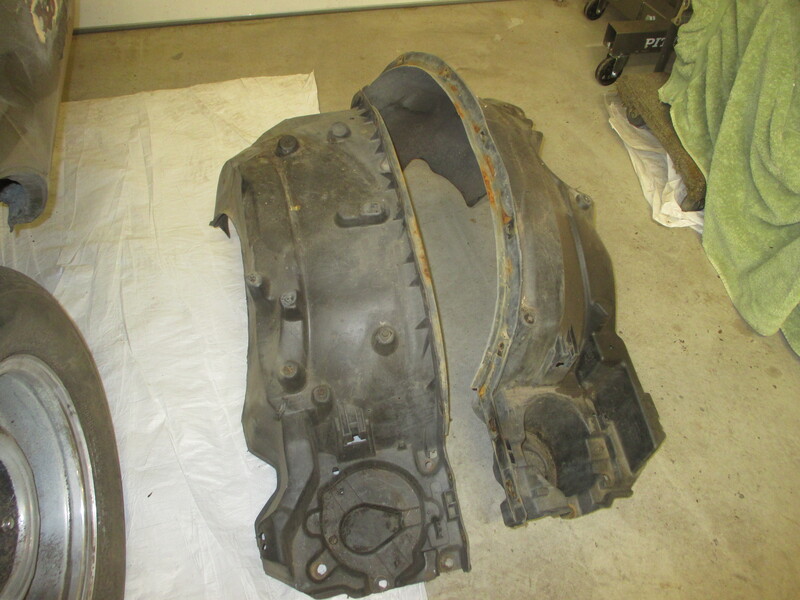 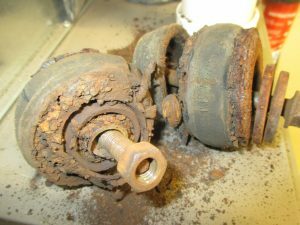 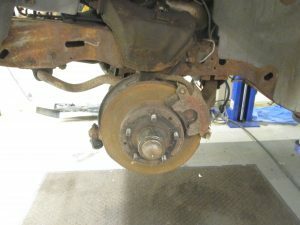 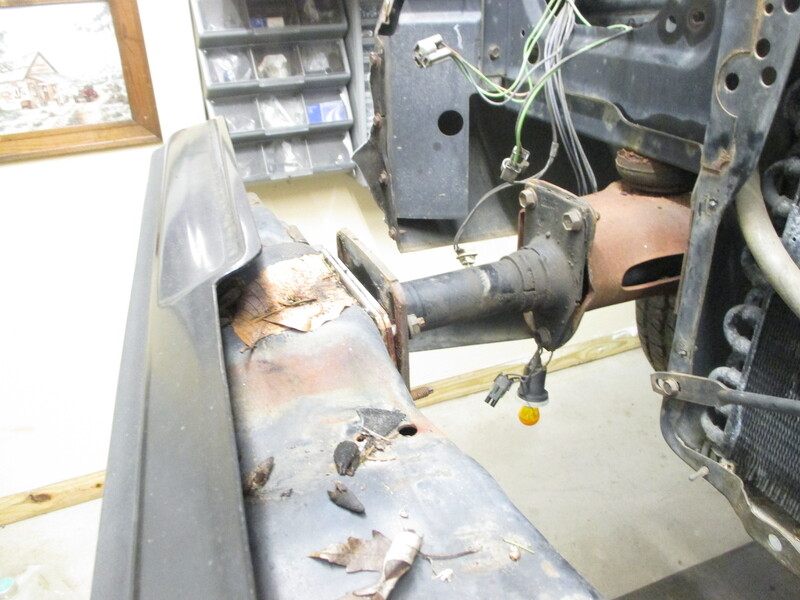 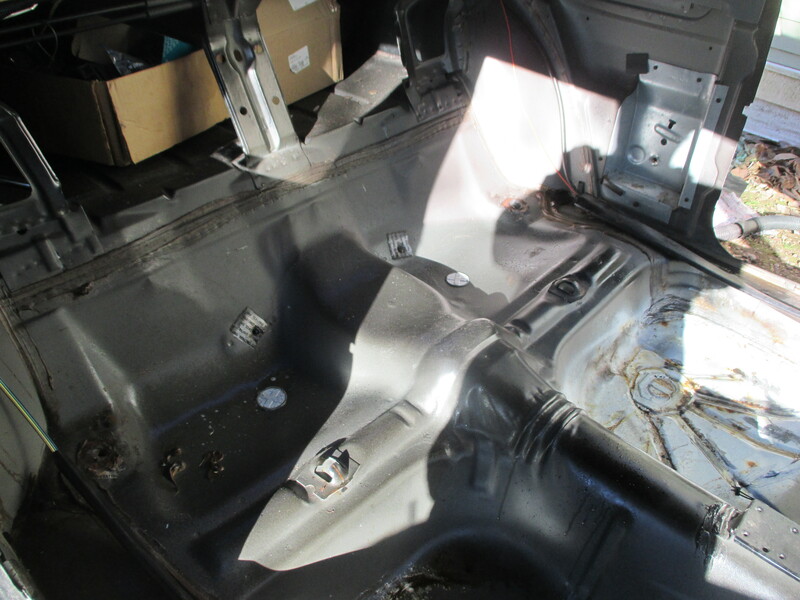 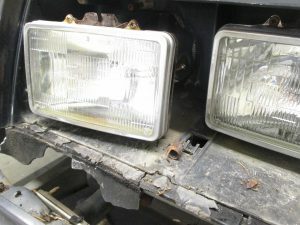 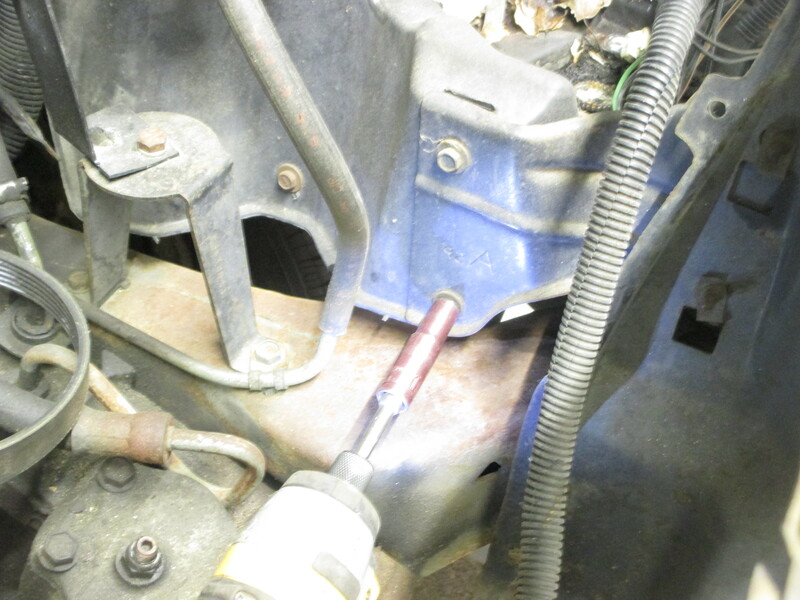 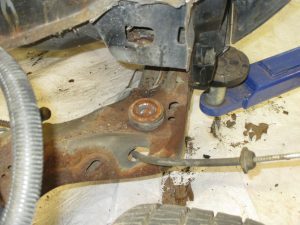 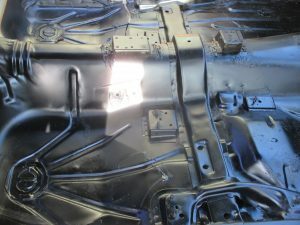 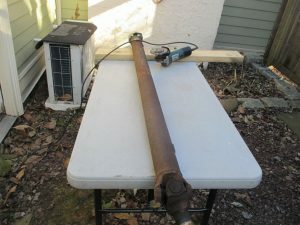 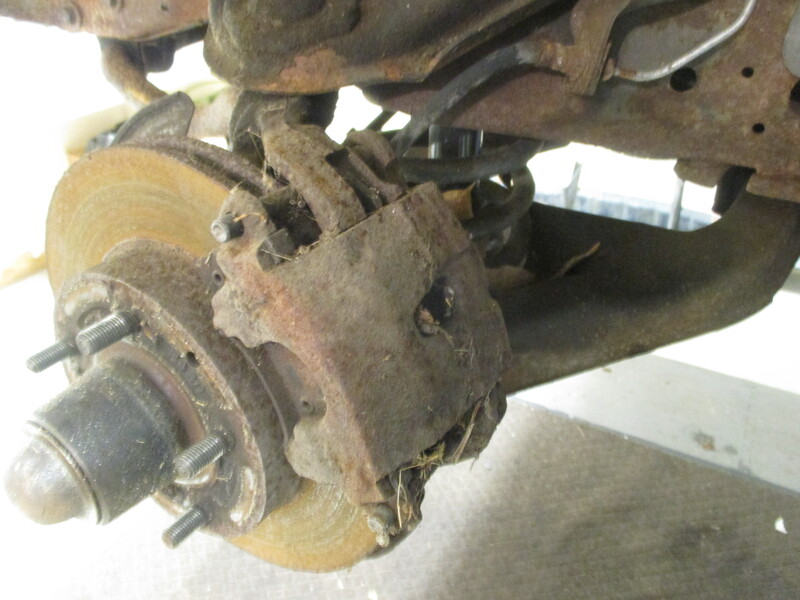 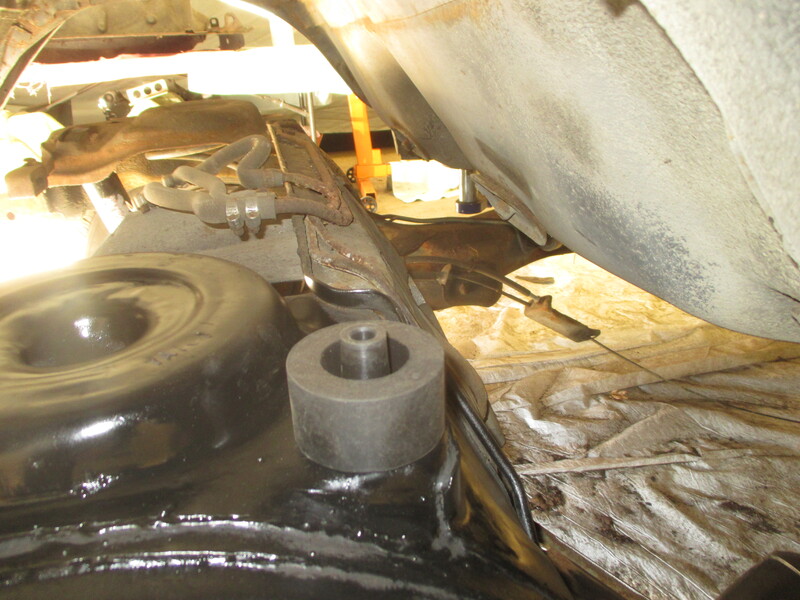 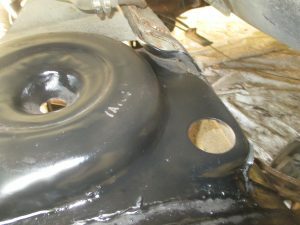 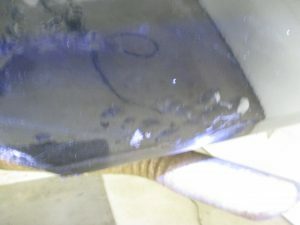 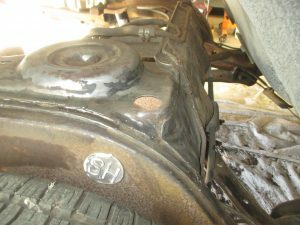 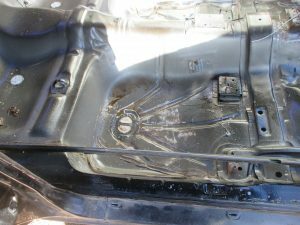 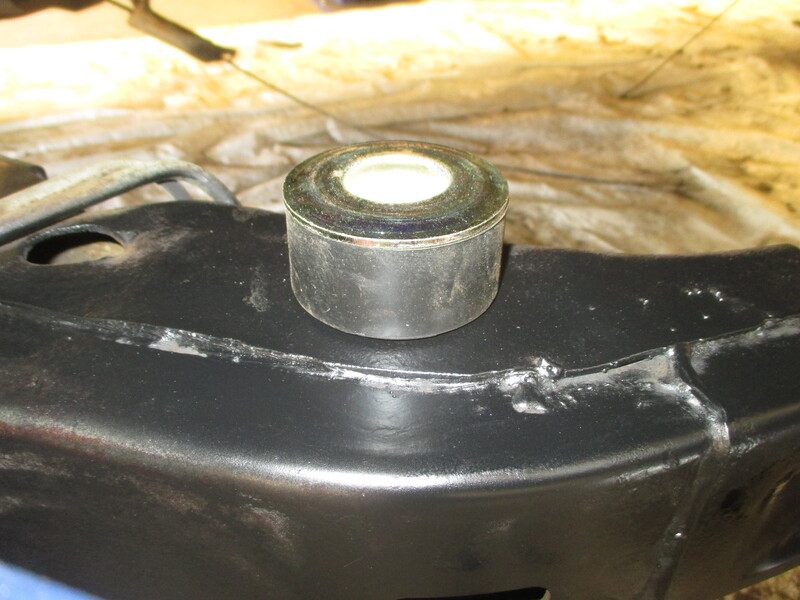 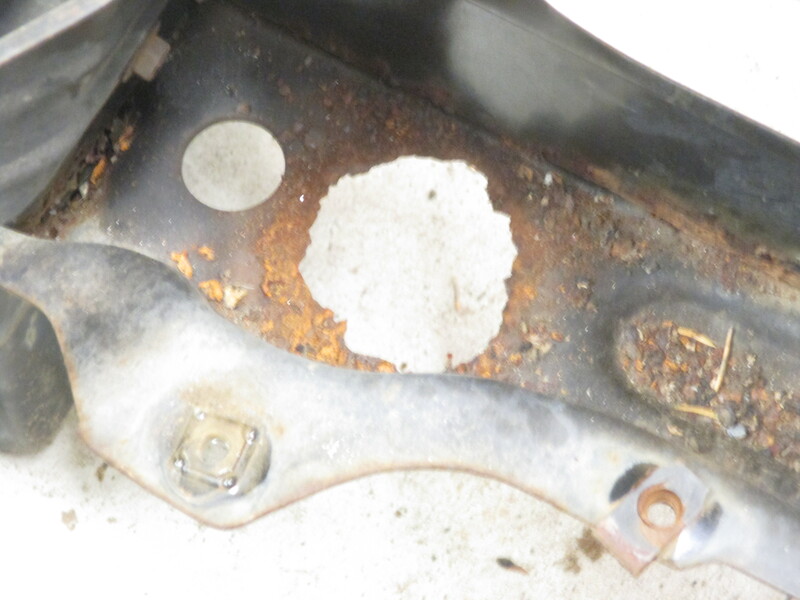 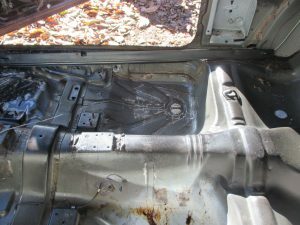 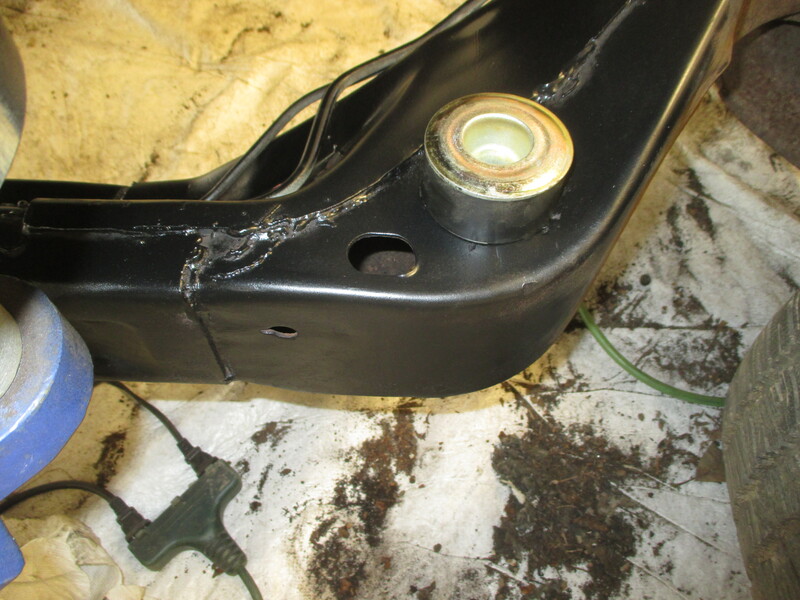 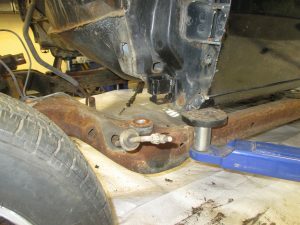 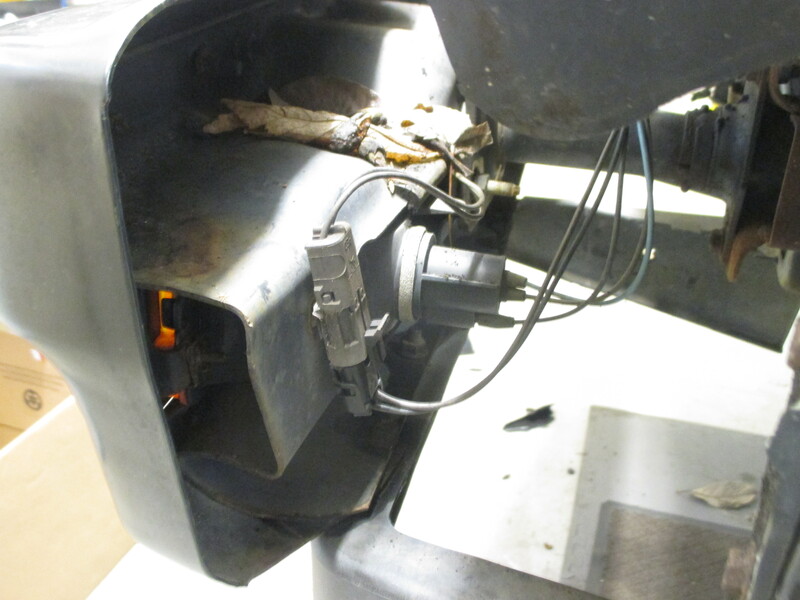 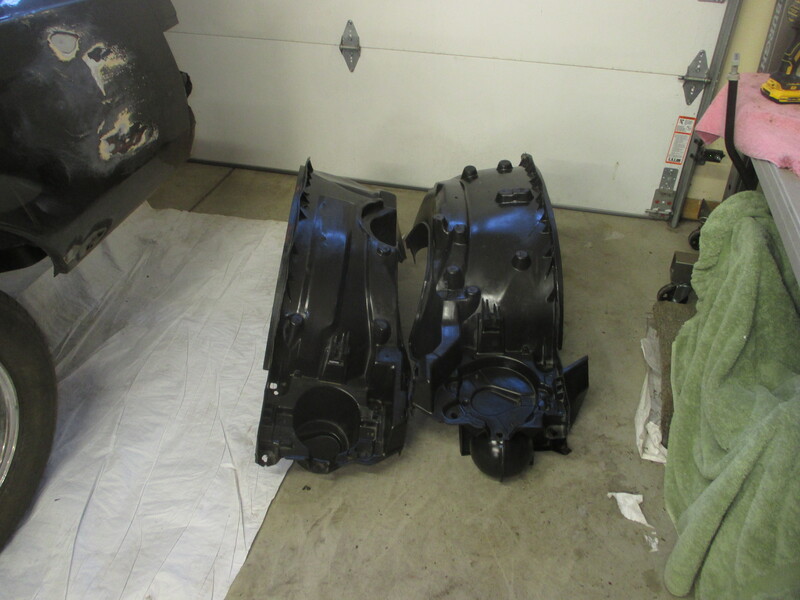 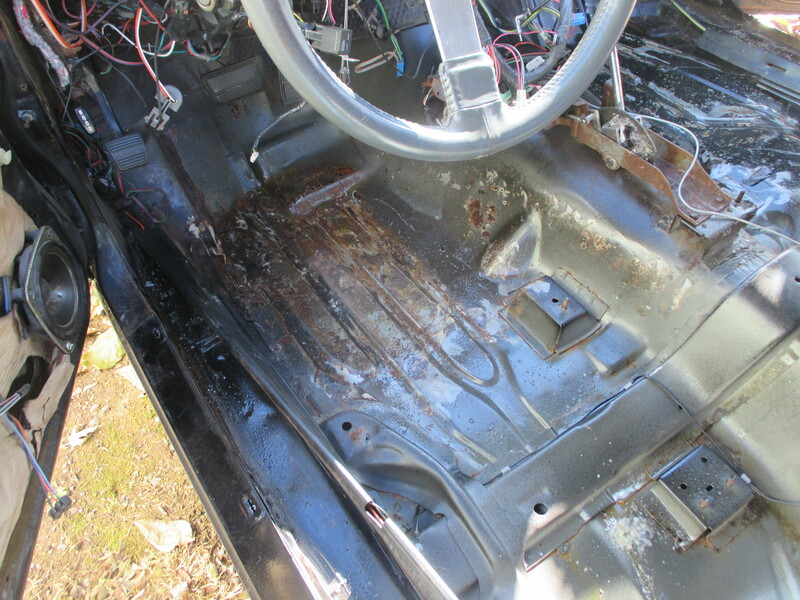 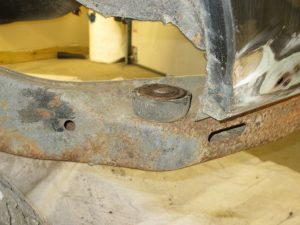 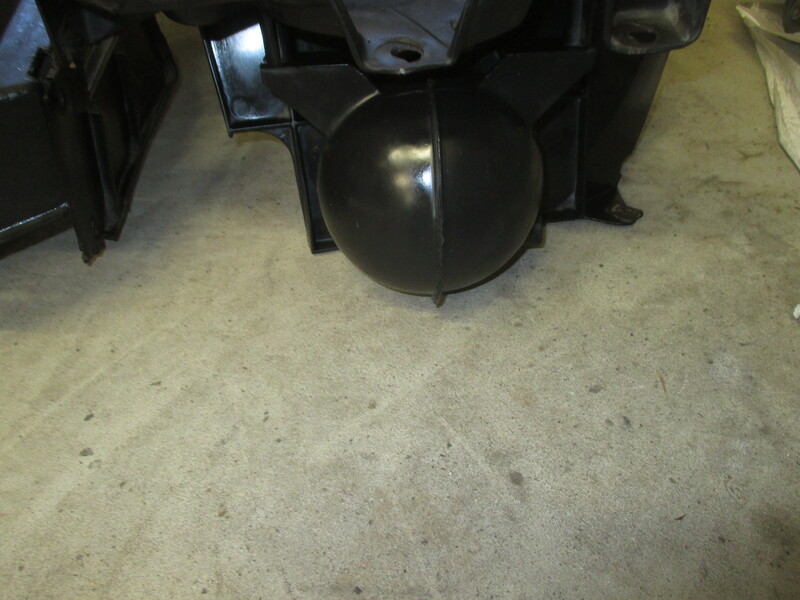 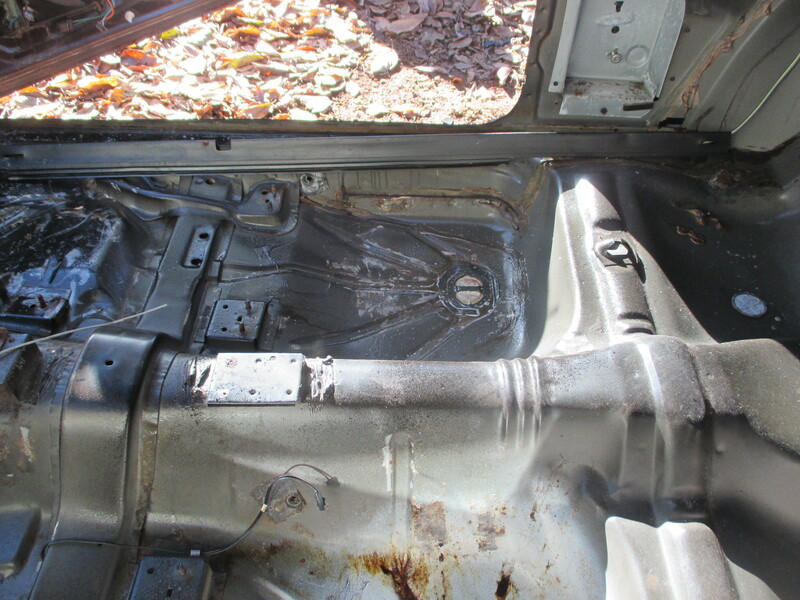 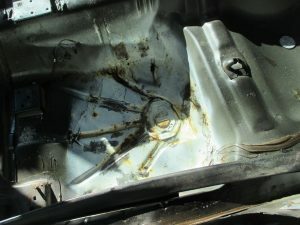 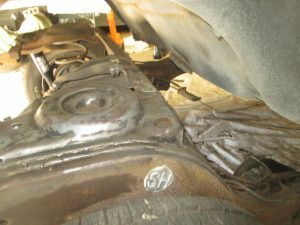 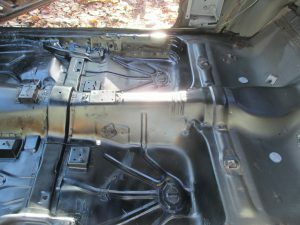 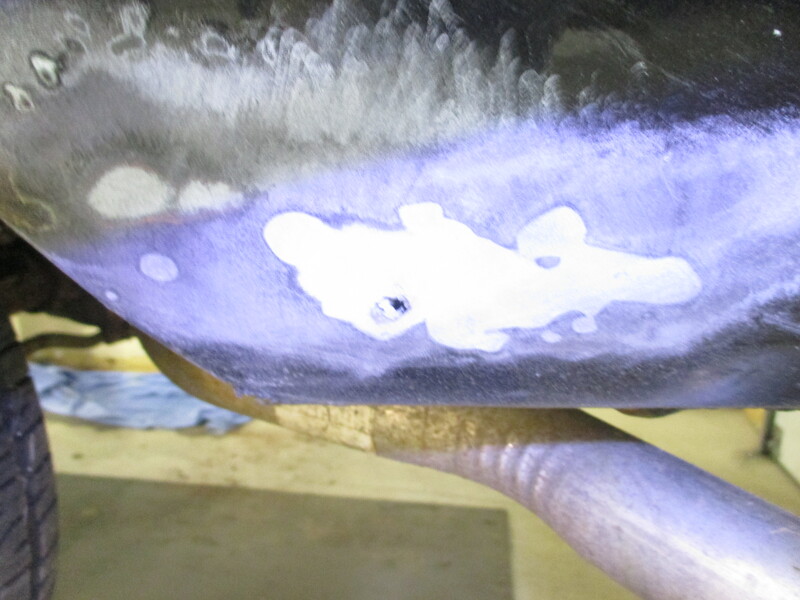 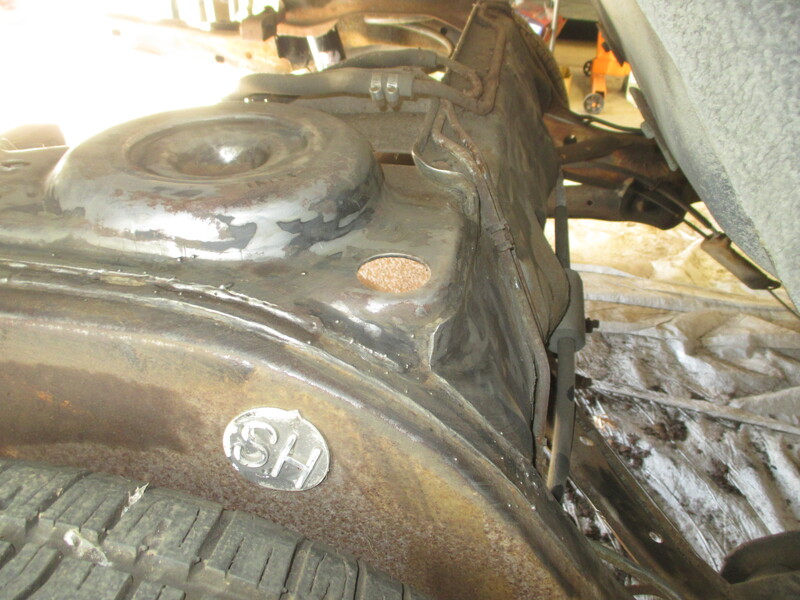 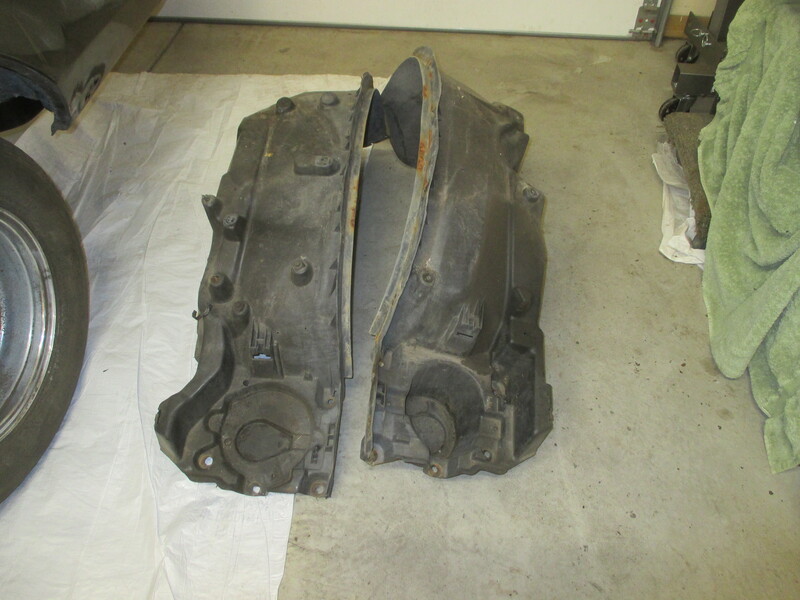 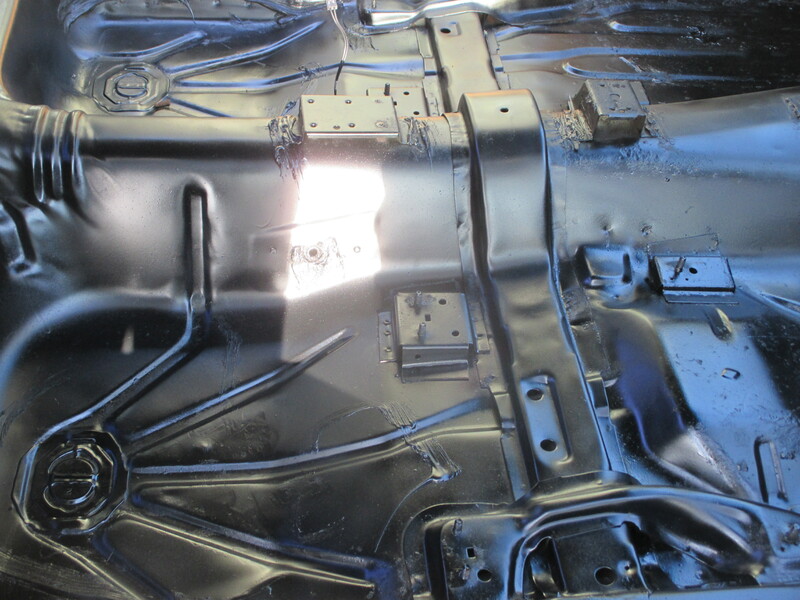 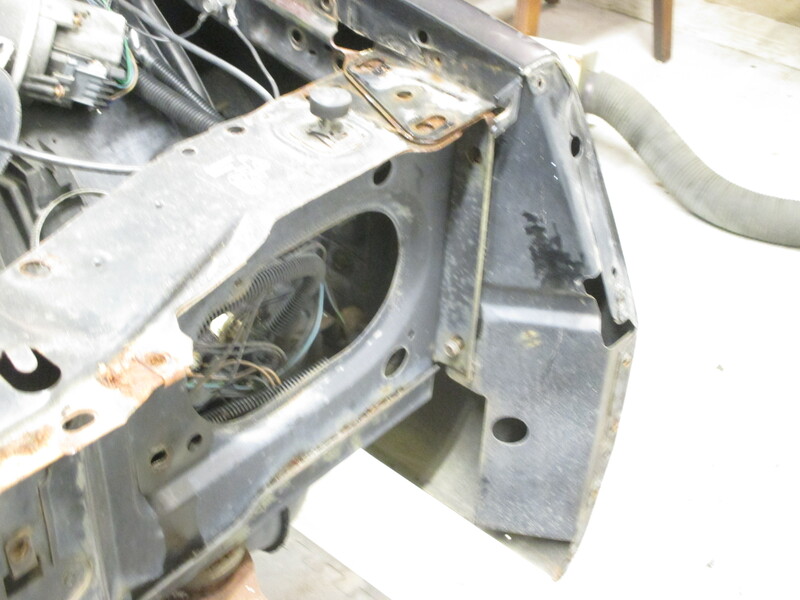 the sanded to remove any surface rust and loose pieces. 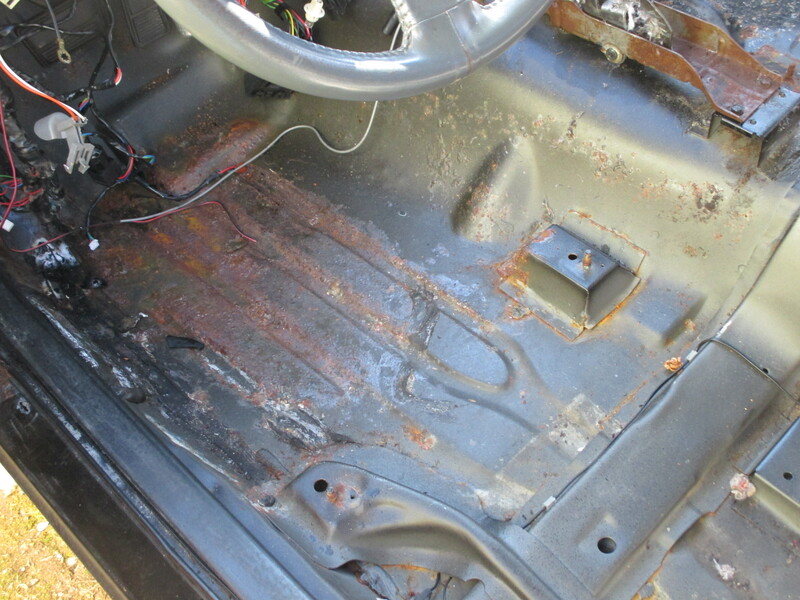 Once clean the floor was sprayed with a rust inhibitor and then painted. 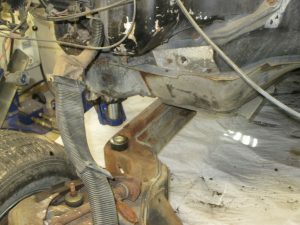 The floors are solid and a good platform to work from. 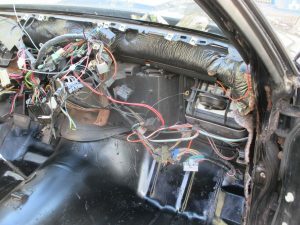 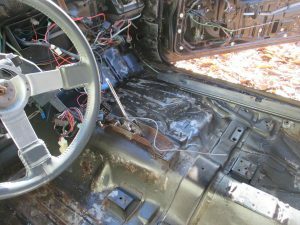 Dash wires: OH MY GOD this is not the way to remove a dash. 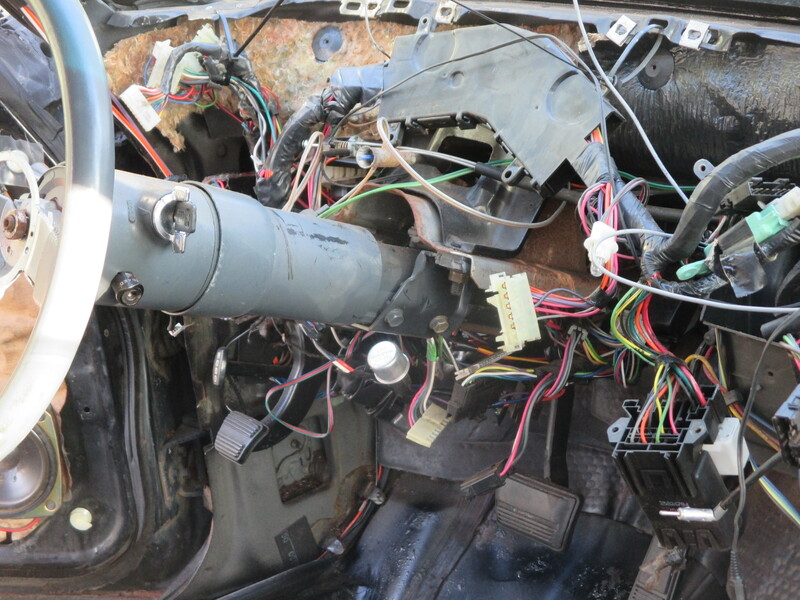 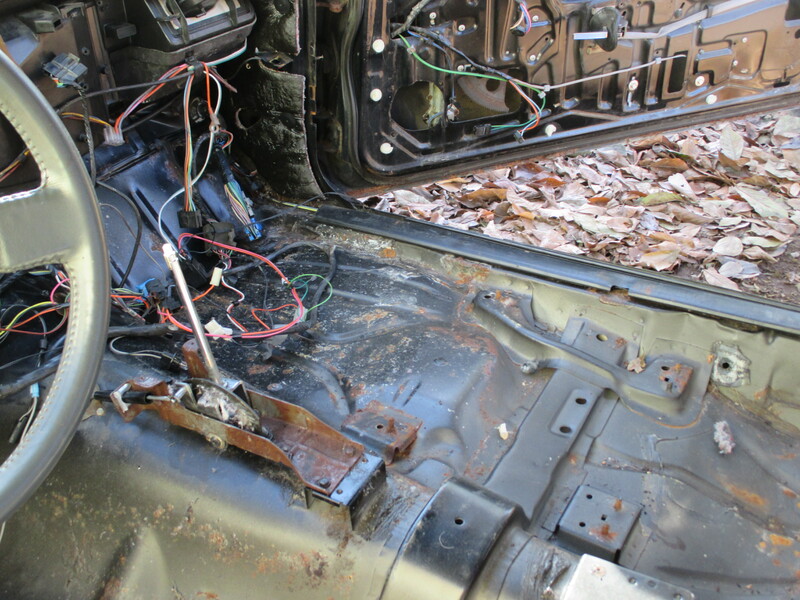 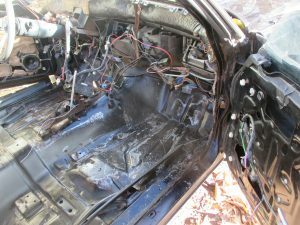 None of the wires are labels, all of the corresponding screws were strewn about the car and many of the wires appear not to be from a Buick. 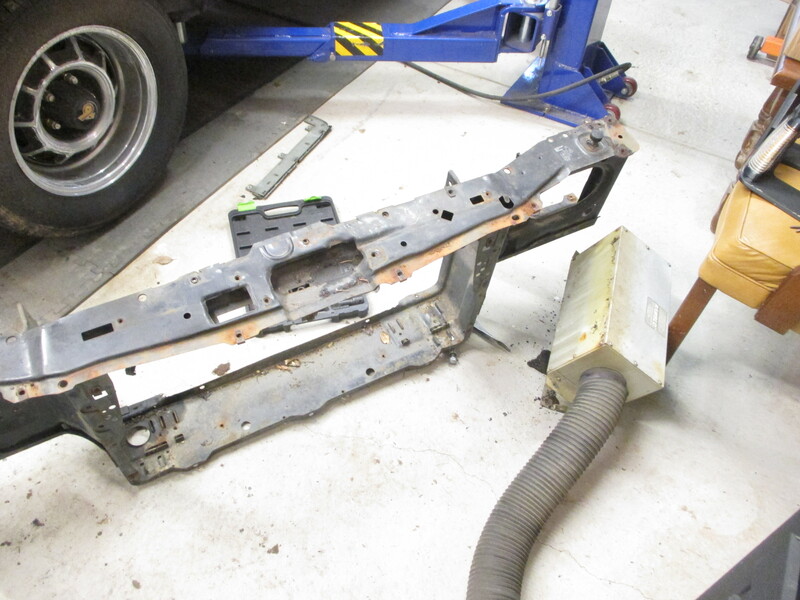 They may be the remnants of past alarm systems. 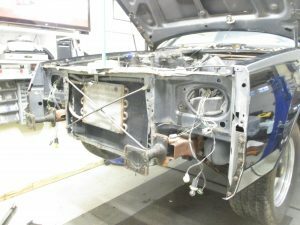 This will be one of the more challenging parts of the project but we are up to the task.